On the incident at the Westgate Centre in Nairobi, Kenya, and with reports of both assailants and civilians still in the building, an FCO spokesperson said that three British nationals are confirmed dead. The next of kin of those nationals have been informed. The number of British Nationals confirmed as killed is likely to rise as further information becomes available. The Government's crisis committee (COBR) met again earlier today, chaired by Foreign Secretary William Hague. The government has sent a rapid deployment team from London to Nairobi to provide further consular support. Staff from Addis Ababa have also been sent to Nairobi to assist. 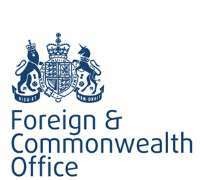 The UK High Commission in Nairobi has consular staff at the site and nearby hospitals. The FCO's helpline for concerned British nationals is +44 20 7008 1000.